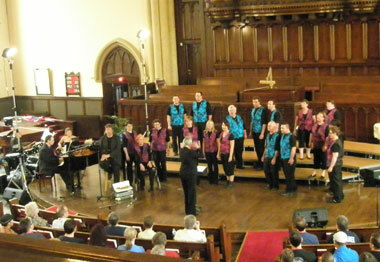 Since its beginnings in 1993, Edmonton Vocal Minority has been unique voice in Edmonton's musical and Queer community. 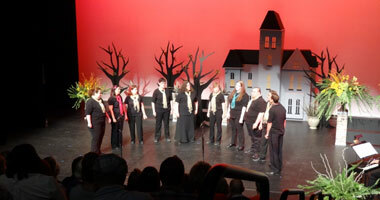 EVM is a non-auditioned, mixed-voice choir that offers its members an opportunity for personal and musical growth in a safe, supportive, and creative environment. 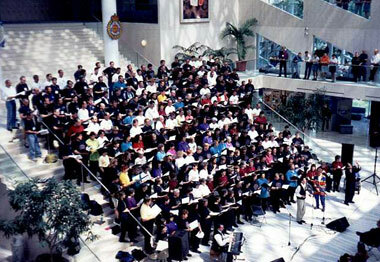 Edmonton Vocal Minority also reaches out to the community by offering several self-produced concerts each year and performing at numerous community events. 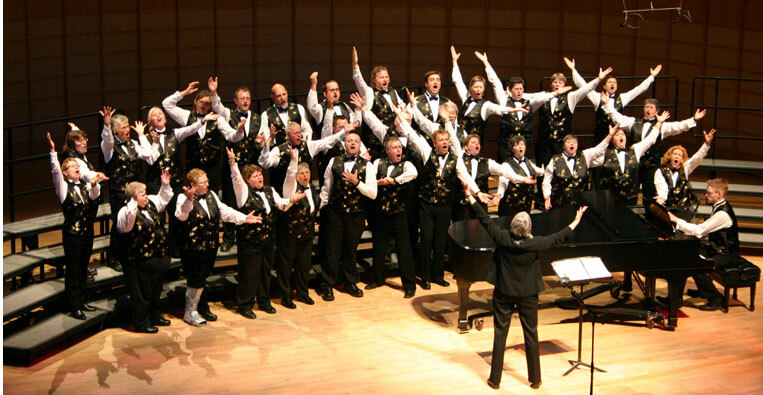 The choir is committed to playing a vital role in preserving and celebrating the rich culture and history of the Queer community, while at the same time championing equality and embracing the diversity of all people regardless of sexual orientation. Edmonton's City Hall. May 1998. 2010 Unison Festival in Winnipeg. 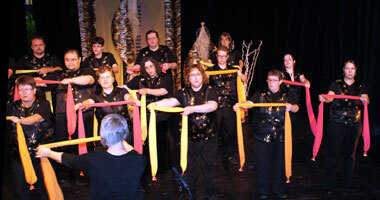 EVM performing at the 2006 Unison Festival in Vancouver.